There is nothing more satisfying or exhiliariting than a walk! A great, healthy, activity proven to extend your life! 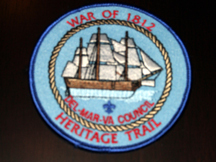 Walk on these great trails and learn about some of the history of Del-Mar-Va and the surrounding area. Many trails offer recognition in the form of a patch or medal. Take the time to get to know our own neighborhood. Save travel time and fuel by participating locally! Earn recognition for your efforts! What more could a Scout ask for? For additional information on historic trails on the Delmarva peninsula contact the Nentego Lodge 20 Historic Trails committee. Delaware was one of the original thirteen colonies and was split on the question of Independence. Caesar Rodney was a delegate to the Second Continental Congress. On June 7, 1776 Richard Henry Lee of Virginia introduced his famous resolution that would lead to the drafting of the Declaration of Independence. Intense debate resulted. Caesar Rodney was not in Philadelphia. He had returned home to deal with a threatened Tory rebellion. As the time for voting neared, Delaware’s two other delegates were split, with Thomas Mc Kean in favor, and George Reed opposing the resolution. McKean sent a messenger to Dover informing Rodney that he was needed more in Philadelphia than in Delaware. The trail attempts to retrace the portion of this journey from “Byfield” to Dover, if not entirely the exact route, at least with the same spirit of patriotism and love for country that inspired Caesar Rodney himself. Click HERE to view the History, Trail Info, and Order Form. The purpose of this award is the recognize Scouts and leaders who participate in activities designed to heighten their awareness of the role of the Delmarva Penninsula and its inhabitants in the American Civil War. Click HERE to see the brochure. Earn this great patch by hiking this trail established recently by Eagle Scout Conor Small from Troop 2540 Lewes, Delaware. Connect with the The Lewes Historical Society, stay in nearby Cape Henlopen State Park and make a great weekend event centered around the history of Lewes. The trail is 8 miles in length and takes hikers to many key locations and buildings that were utilized in support of the War of 1812, including the 1812 Memorial Park. Click HERE to download the trail brochure. Click HERE to download an information sheet and patch order form. The intention of this trail is to give you, the hiker, a small taste of what can be seen and experienced in the wonderful city of Newark, Delaware and expose you to some of its varied beauty and history. The trail is 9 miles in length (can be expanded to 10 miles) and includes stops at sites such as the oldest paper mill in America and the University of Delaware. Click HERE to download the trail brochure. Click HERE to download an information sheet and patch order form. Click HERE for the Map. Click HERE for an answer key. During the Revolutionary War, the Continental Army travelled across the east coast to follow the British Army. In 1781, an opportunity presented itself for the Americans to attack the British in Virginia. George Washington moved his entire army, along with his French reinforcements, from New England down to Virginia, where he would defeat the British at Yorktown. 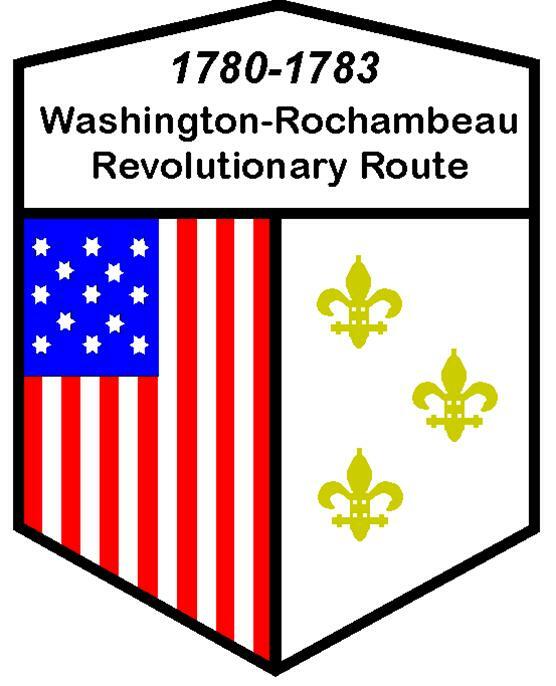 This route follows the trail that Washington, Rochambeau, and their army followed to travel to Yorktown. Scouts have an option of hiking one of two routes to earn this award. Click Here for the historic route brochure. Nentego Lodge 20 of the Order of the Arrow is responsible for much of the upkeep on the Historic Trails throughout Del-Mar-Va Council. They have created Historic Trails Awards specific to Arrowmen. You do not need to be a member of Nentego Lodge 20 to earn the awards but you must be a member of the Order of the Arrow. The form to recieve the awards can be found HERE.